This year brings an unavoidable wave of Beatles tributes, with TV specials, media coverage, a new CD boxed set, and celebrations marking the 50th anniversary of the band’s arrival in America. But amidst yet another look back at the start of American Beatlemania, we’re neglecting (as we often do) an integral part of the group’s appeal and a major reason for their initial popularity: their humor. 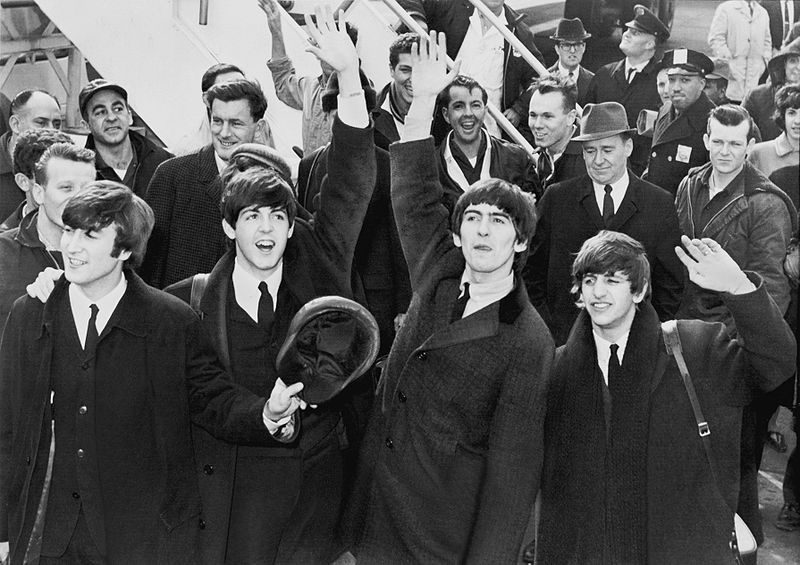 The Beatles’ sense of humor was on display at their very first press conference on American soil, at John F. Kennedy International Airport on February 7, 1964. Although the Beatles’ early records demonstrated a high degree of exuberance, they weren’t explicitly comedic. Their films, however, were. The screenwriter of A Hard Day’s Night (which was also released 50 years ago) followed the band around Dublin for a weekend in November 1963. Alun Owen grew up in Liverpool and was familiar with the local vernacular. He drew upon that hometown knowledge, the Beatles’ manner of talking and joking, and their natural chemistry in crafting his script for their first movie. (The film’s recurring “You’re a swine” jab was similar to a Goons catchphrase, “You dirty rotten swine, you!”) Onscreen, the Beatles played attractive and likeable characters—a sharp contrast to other British rockers in bandwagon-jumping movies released the following year. Gerry and the Pacemakers in Ferry Cross the Mersey and the Dave Clark Five in Having a Wild Weekend were disappointingly unappealing and unmemorable. Beatles manager Brian Epstein polished the band’s rough dress and stage manner and encouraged them to become more professional. But prior to their commercial breakthrough in 1963, humorous quips—especially cutting ones from John Lennon—were part of their live show. In the early years, they also performed comedic songs like the Coasters’ “Three Cool Cats” and the 1910 music hall number “I’m Henry the VIII, I Am” (which became a number-one hit for Herman’s Hermits in 1965). Harold Bronson is the co-founder of Rhino Records. His memoir, The Rhino Records Story, was recently published. Primary Editor: Sarah Rothbard. Secondary Editor: Becca MacLaren.